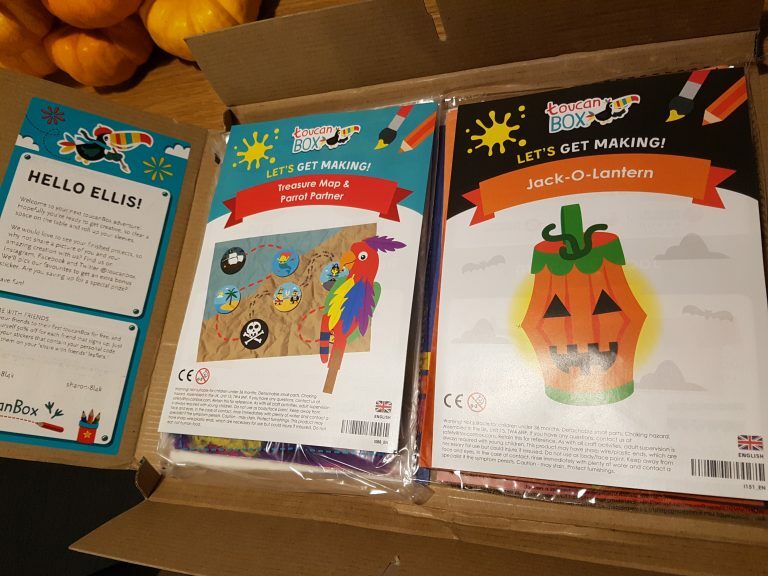 Home Reviews ToucanBox – October 2018: Hello Halloween fun! 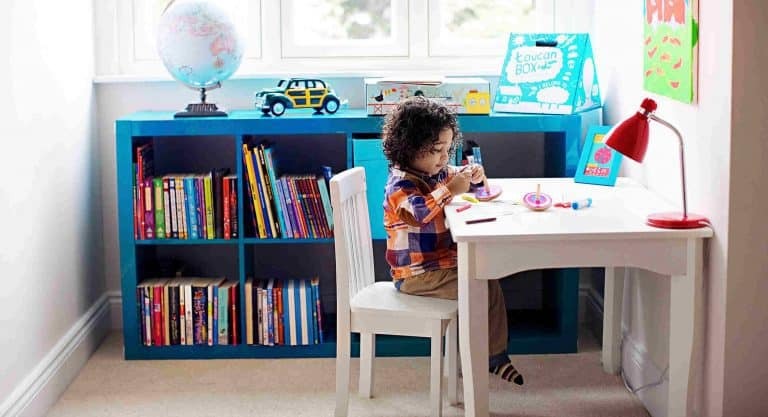 I used to have a subscription to toucanBox last year but ended up cancelling it because we were no longer able to keep up with the boxes on a fortnightly basis, (and we were lacking in storage space to keep them aside for a rainy day). So when the team got in touch and told me about the new monthly box format I was intrigued. 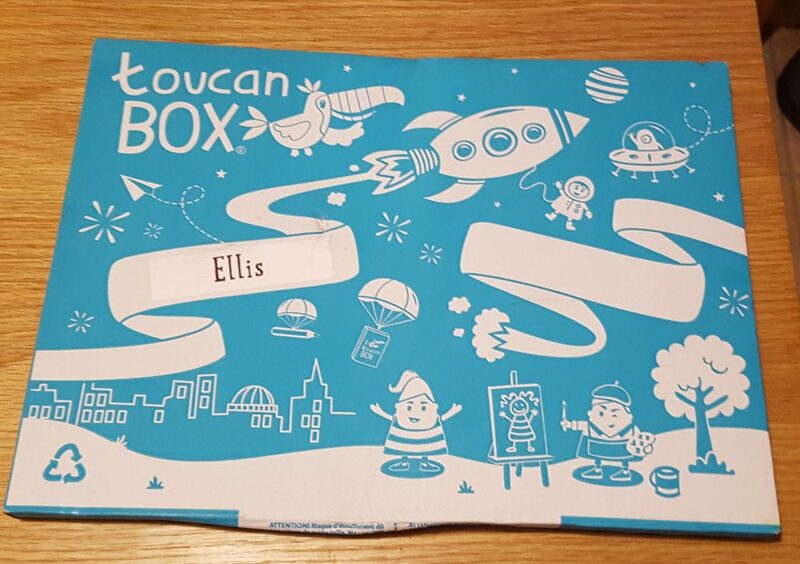 It was great to see this new, bigger box on the doormat, and I love the fact that your son our daughter gets a box addressed to them; the excitement when they see they’ve got a package of fun waiting is priceless. 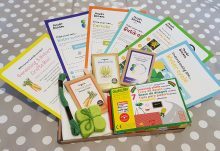 Each box comes with all the materials and inspiration you need to make two craft projects along with illustrated, easy to follow instructions. This box had a pirate project and a Halloween project. 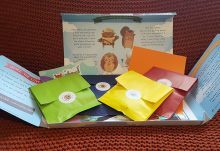 A great mini magazine with puzzles, recipes and activities. Stickers. Who doesn’t love stickers?! 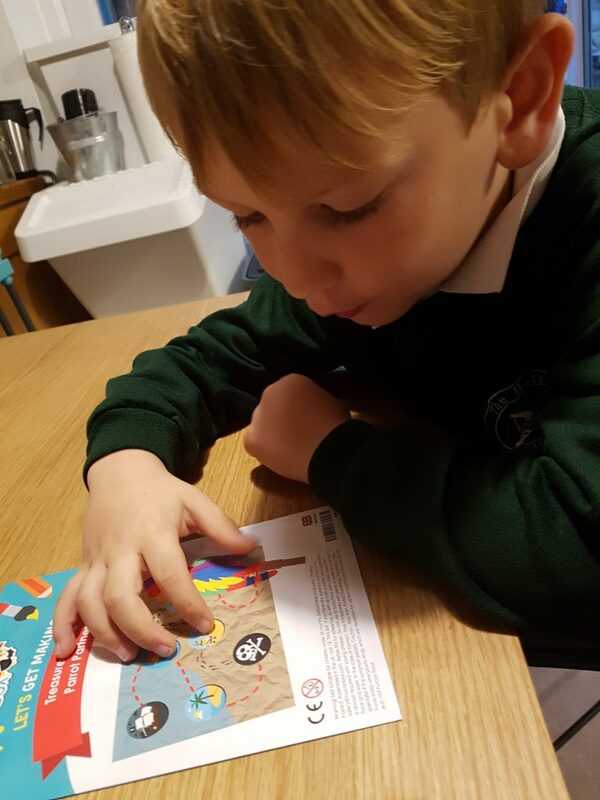 The pirate activity involved making a map and making a pirate parrot buddy. 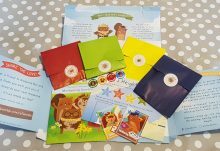 We really enjoyed making this, the pack contained everything we needed and to keep busy for more than half an hour (our sons usual attention span limit). First we crumpled up the paper and tea stained it using the teabag and paint brush. After letting it dry we drew on a map and added stickers. 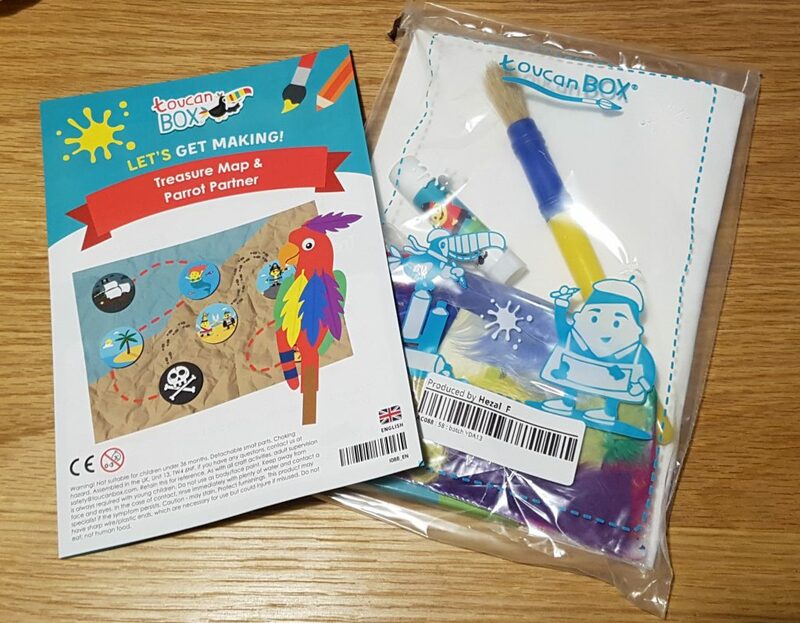 The parrot was great fun; we coloured in the template, added the lolly stick and then stuck on lots of funky feathers. I hadn’t expected either of us to enjoy this as much as we did. 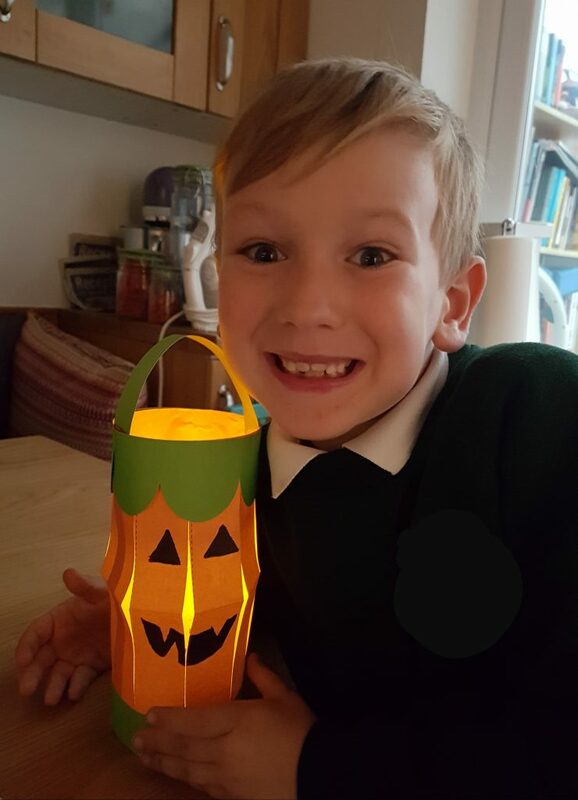 We love Halloween in our house, so making this was great fun. The only problem was that for some reason some of the bits in our pack didn’t match the instructions! I’m not sure how or why but we were able to work with what we had. The instructions are easy to follow and we were really proud of our final creation! I was pleasantly surprised to see this updated monthly version of toucanBox, I've always felt that they were great value but the reason we stopped getting these was because we didn't always have the time or capacity to keep up and I was getting a bit stressed at the backlog that was building up with a fortnightly box. 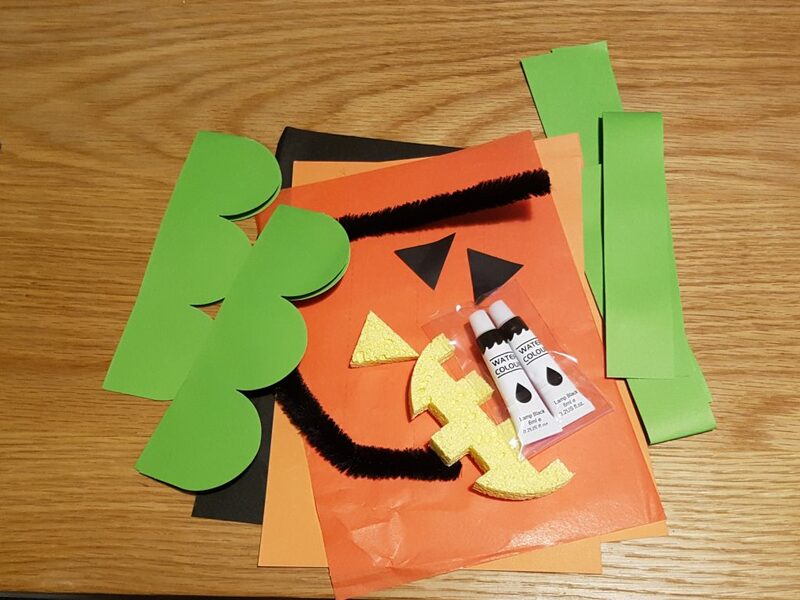 The two craft projects were easy and fun enough to keep little ones entertained as well as offering 'extras' so that other things could be made as well. I've only marked areas down because we had been sent the lantern project before (last year), and because some of the parts in our lantern kit didn't match up with the booklet.